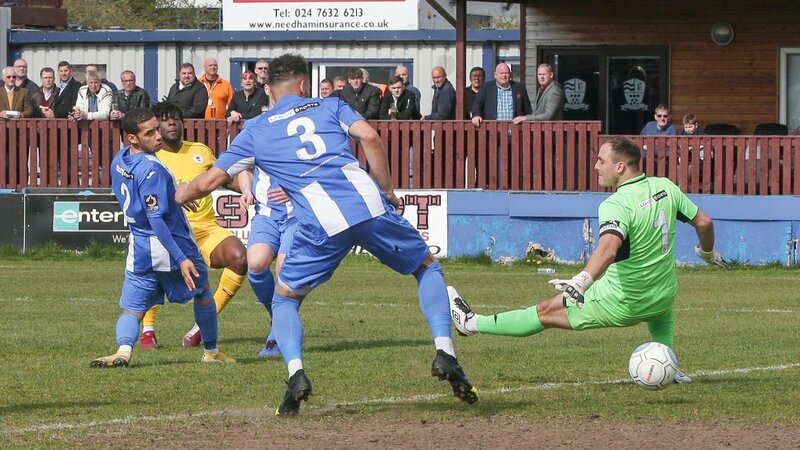 Chester snatched a late winner at Liberty Way to win 3-2 – a result which saw their hosts Nuneaton Borough relegated from the National League North. Akwasi Asante opened the scoring for the Blues after just a few minutes before Miles Addison leveled it up just before half-time. 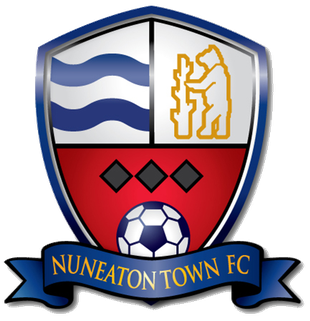 Chester retook the lead after Danny Livesey stuck his leg out from a corner – but Nuneaton looked to break blue hearts just before stoppage time went up, as Mike Calveley tapped home after a goalmouth scramble. But the story of the afternoon had a final chapter, written eloquently by Livesey, who secured his brace after a corner from the excellent Ben McKenna – the Seals’ first set of back-to-back away wins this season. The Blues made one change from the 0-0 draw with league leaders Chorley last weekend, McKenna returning to the squad in the place of Craig Mahon. With the prospect of relegation looming over the home side, it was the visitors who took the lead after just four minutes. Holding up the ball on halfway, Dan Mooney played a lofted ball to Sean McAllister who made a charging run down the left side. He fed Asante inside the box, who cut inside of his marker and slotted the ball underneath the wrong-footed Cam Belford. The Blues had to defend a corner after Simon Grand had played Ryan Edmunds onside. The Boro forward volleyed towards goal but Grant Shenton was on-hand to excellently tip the effort behind. The corner was delivered to no avail. Asante was back in the thick of the action after 21 minutes. Receiving the ball on his left he tried to shift onto his stronger foot but was prevented from doing so. Making the best of a bad situation he fired a shot narrowly wide of the far post. Matty Waters was next to take on a shot from the left-side a couple of minutes later – but dragged it past the far-side of the Boro goal. After a drab 15 minutes, Nuneaton got their equaliser. A free-kick on the edge was floated into the box, onto the head of Asante who inadvertently nodded against the post, allowing Addison to tap the rebound into an open net. Asante attempted to restart the onslaught down the other end – hitting low and high efforts from distance, in succession, which were caught by Belford – before James Caton smashed a half-volley over the bar for the home side. A scramble in the Chester penalty area opened the second half, with the Blues failing to clear after several attempts allowing Edmunds to fire towards goal, his effort was miraculously palmed behind by Shenton. Down the other end, the Seals got on the front foot and back in the lead. With just over five minutes played following the break, McKenna’s corner was perfectly placed for the raised leg of Livesey, who flicked the ball beyond Belford and into the net. Another Chester corner caused problems for the Boro on the hour mark. Gary Roberts received the ball short and hooked his delivery onto the head of Grand who nodded over. The hosts gave the Blues a scare with 20 minutes to play – Livesey missed his clearance and allowed Caton through on Shenton’s goal. He dinked the ball over to Michael Townsend who blazed over on the half volley. Addison nearly doubled both his and Nuneaton’s tally, rising highest from a long throw into the Chester penalty area. Nervy times with with 10 to go. Then against the run of play, the Blues switched off again and allowed Calveley a tap-in after another long throw. Down the other end, George Waring was clattered in the box but referee Amy Fearn rejected the penalty appeal. Whilst most clubs would leave with heads down and hearts broken, Chester don’t. In the three minutes of stoppage time indicated, they kept going. The second of two successive corners was delivered by McKenna onto the head of Livesey who smashed his header past Belford. Result. The Blues return to action on Tuesday night (7.45pm) at home to Stockport County in an ALL-TICKET affair. Buy your ticket, get down the Swansway Chester Stadium and cheer the Blues towards the playoffs. 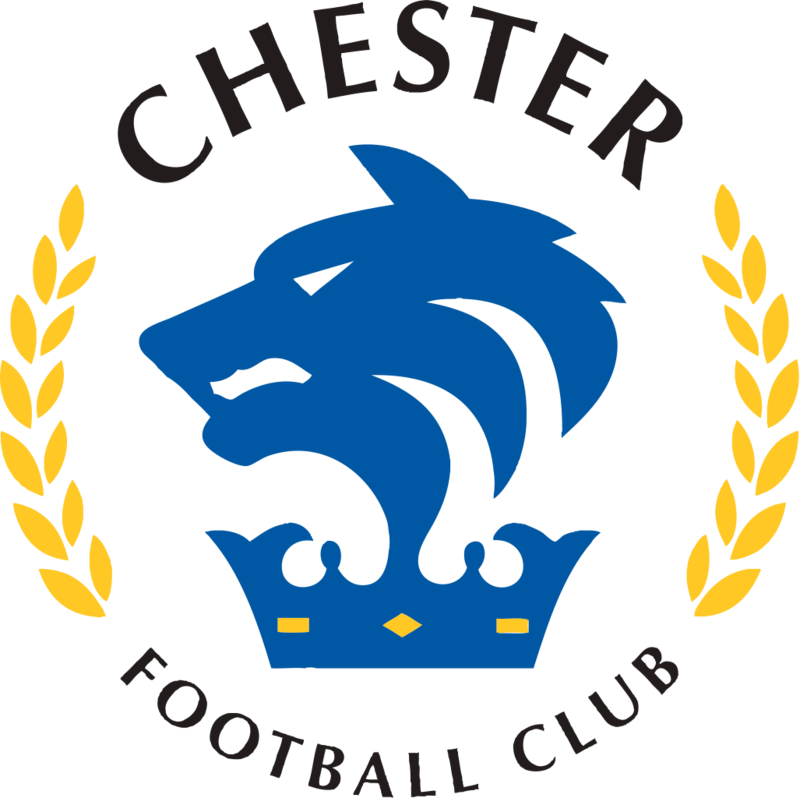 CHESTER: Shenton, Jackson, Waters, McAllister, Livesey, Grand, McKenna, Roberts, Asante (Green 80), Dudley (Waring 62), Mooney (Mahon 67). SUBS NOT USED: Howson, Marsh-Hughes.